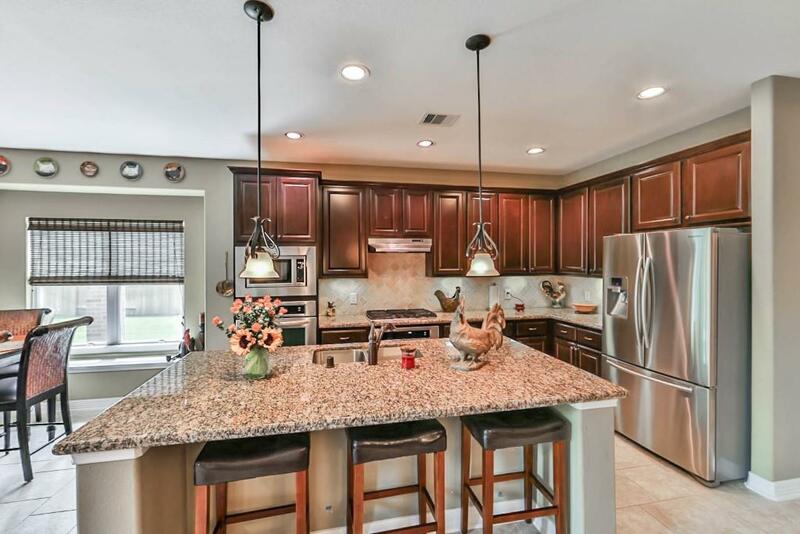 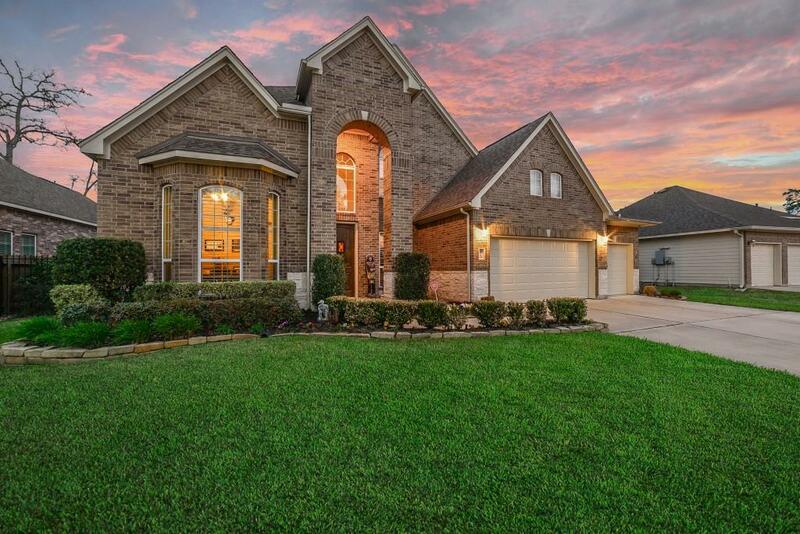 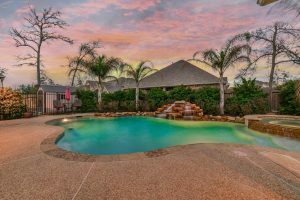 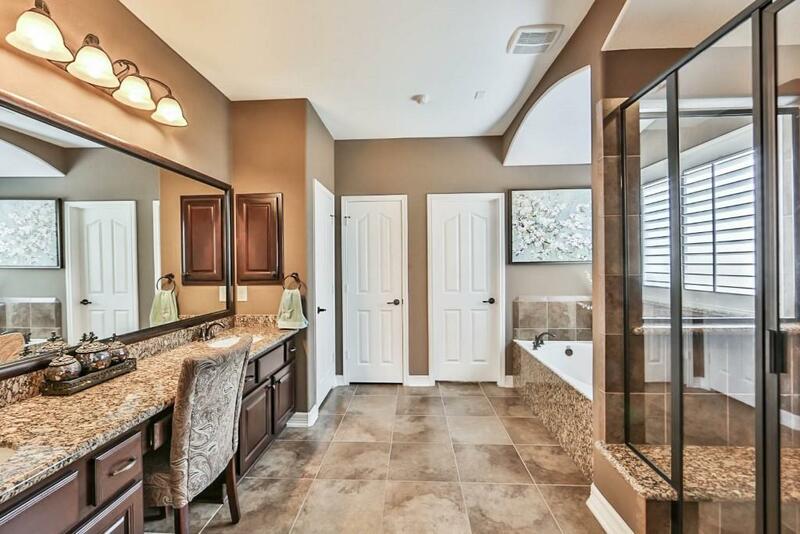 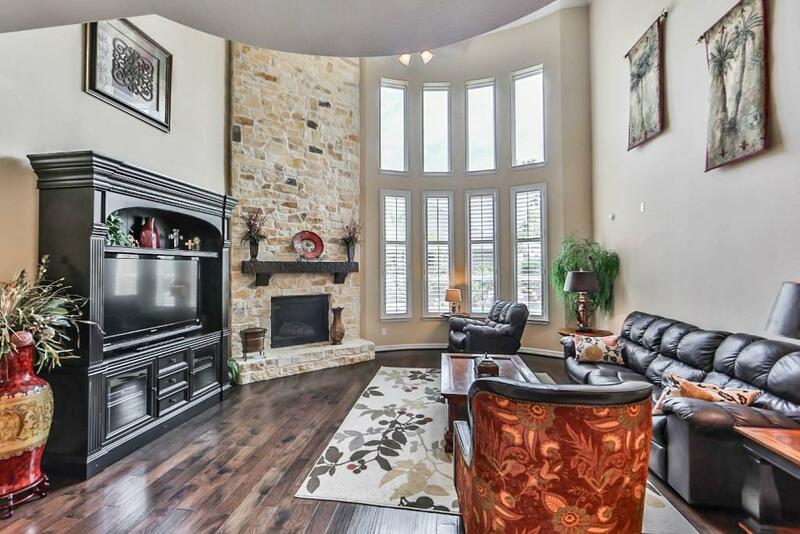 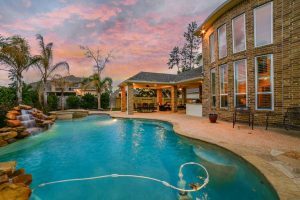 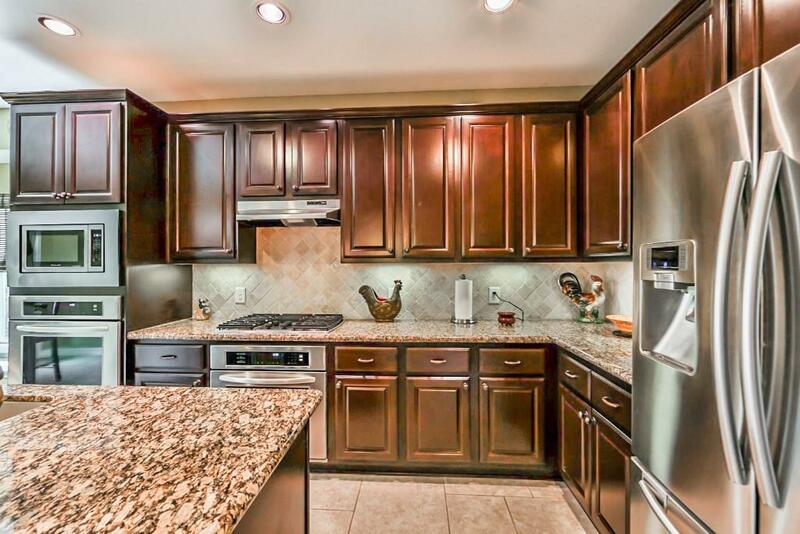 Make this stunning gem your new oasis in Auburn Lakes located in Spring, TX. 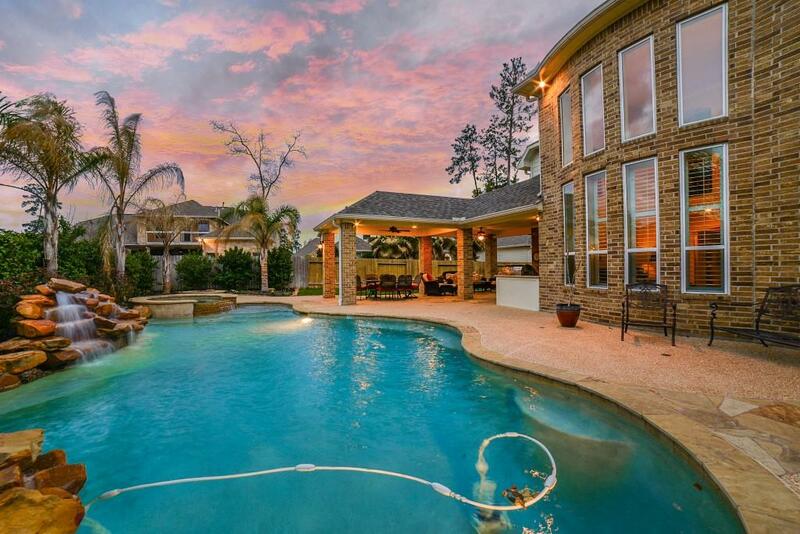 This 4,015 sq. ft. home features 5 bedrooms, 4 full bathrooms, game room, media room, dining room, study, plus a 4-car oversized attached garage. 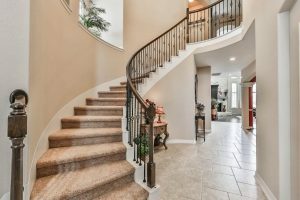 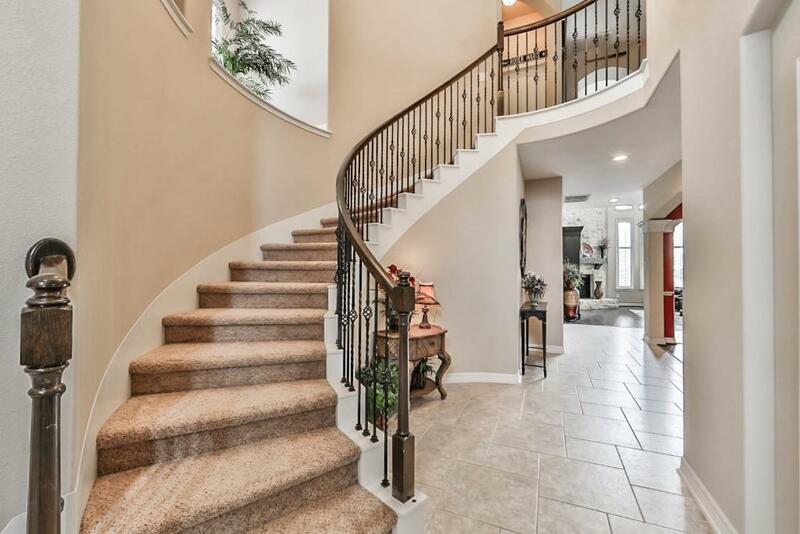 As you step through the front door, you are greeted by a magnificent curved staircase with beautiful wrought-iron details. 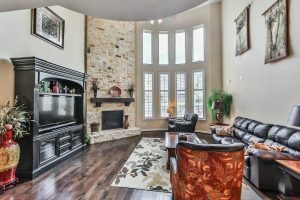 This home’s open space floor plan allows for a graceful living and entertaining spaces, like the stunning living room with a soaring stone fireplace and tall windows that overlook the tropical pool and spa. 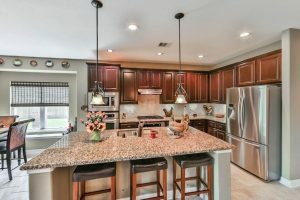 Unleash your inner chef in this gourmet kitchen that boasts pendant lights, granite countertops, central island, gas cooktop, double ovens, and mahogany cabinetry. 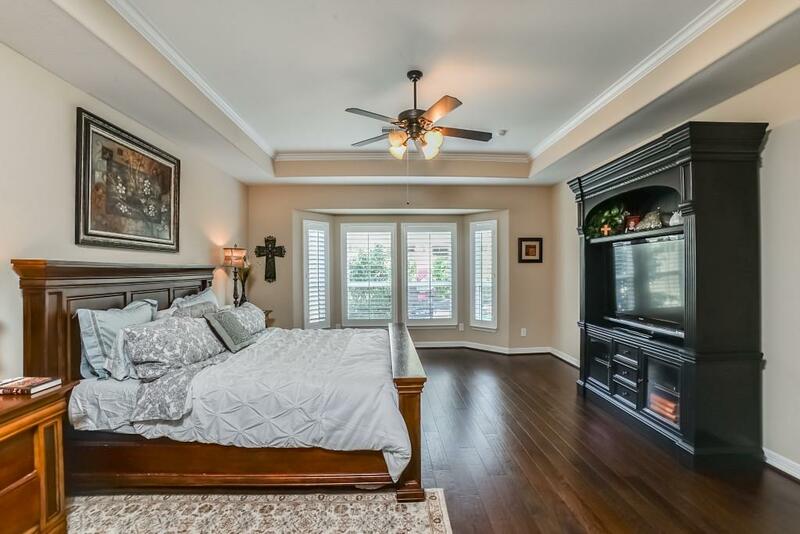 Retreat into the master suite featuring beautiful hardwood flooring and high tray ceiling. Relaxing is easy in the luxurious master bath complete with double vanities, granite countertops, framed mirror, spa tub, and walk-in shower. 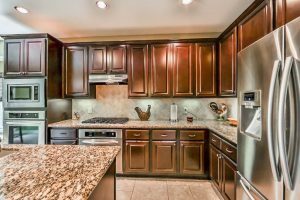 Why Live in Auburn Lakes?